Meanwhile lets just say that we are proud Karen Matthews contributed a whooping 10 entries. 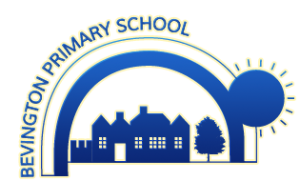 Thanks to Barlby who came over to Bevington last night to talk about writing in the two schools and compare the children’s work. We have a great time discussing ways to help children in both schools learn different skills and continually improve. It was a very useful session. Thanks to Miss M for organising it. Thanks to year 3 and 4 who put on some amazing performances this week on their topic of Romans. The singing, dancing and acting were fantastic and they looked brilliant too. Thanks as well to all the parents who came and supported them. You were a great audience! On Wednesday we hosted a showcase for the Voices Foundation who have been working with us in school this year. They saw outstanding music across the school thanks to all the hard work of Miss Faiers and Mr Byrne Smith. Singing and winning at Bevington. They have hatched! Our living eggs arrived in early years this week and the chicks soon started to appear. The children have lived making the link between the egg and the new life. Great science in action there. We hosted the second North Kensington maths competition this week and standards were incredibly high. Congratulations to Barlby who came first and thanks to Mr Collett for making it all happen. We had a fabulous friendship afternoon today in our mixed up groups from across the school. We played games, made cards, cooked and got active together. And all dressed as Harry Potters or Cats in hats! Quite a Friday! What a great day we have had dressed up for our belated World Book Day. The costumes were phenomenal- so creative and accurate. Thanks to Miss M for organising all that for us. We love dressing up! Thanks to the PFA for organising the cake sale this afternoon. And thank you to everyone who donated or bought cake. All the money raised will go to GOSH- a hugely worthy cause.